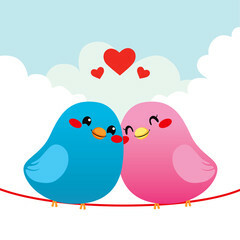 Lovebirds Prove the Power of True Love! 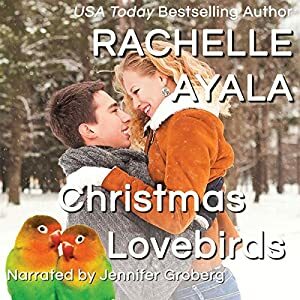 Christmas Lovebirds is #01 in the Have A Hart Series by Rachelle Ayala. These are about the members of the Hart family. The characters are all up in each others lives and stories so I would suggest you read them in order. 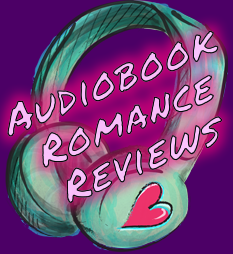 At the time of this posting, this title is currently available as part of the Audible Romance Package. This is very PG, but cute none the less. I really enjoyed the love birds! My personal experience with the little guys was not as pleasant as the ones in the story though. A friend’s family in high school had a pair and they were quite a terror. They would try to attack anyone that came anywhere near their cage. Maybe it was a territorial thing, maybe it was lack of interaction, I don’t know. From afar they were pretty and lovely to listen to, look at, and observe. This story focuses around the youngest, and most overprotected Hart sibling, Melisa. She has had a crush on her brother’s best friend all her life, but his betrayal 10 years ago ruined it all. She has spent all the time since trying to hate him, but never truly succeeding. She seems determined to believe the worst, making her blind to what should of been obvious. But her brother Connor seems to be determined to prove that it runs in the family. Rob Reed has been in love with Melisa Hart since the day they brought her home from the hospital. Seriously! He would sit near her bassinet and dutifully pick up her bonnet every time she tossed it over the side. Trying to help and protect his best friend in college cost him everything. It really was a stupid decision, but I’m sure we have all made those when we were young. There were better ways to accomplish the outcome that would not of been so harsh, but that’s why they say that hind sight is 20/20. Kudos to Rob for being a man of honor and never giving up the secret that was not his to tell. I would of caved after the 10yr reunion, if not before, if I had loved someone all my life. Lets be honest here, Cassie and Casey is the love story that stole the show! They proved that love at first sight is REAL! That neither time nor distance can stop true love. And that deep love encourages one to step outside their old habits to learn new ones together. They were absolutely adorable! A lot of angst about bird care, particularly about clipping wings. The story doesn’t sugar coat the reality of the disagreements caused by differing opinions. Which is refreshing. Mrs. Ayala has birds of her own, so I wonder how close to home this hits for her. I have a feeling this is an argument she has had more than once in her life. I can feel the passion in the words seeping through the pages. This family is a bit nerve racking. Bossy, nosy, and always telling the other members how they should live their lives. So basically like real life families. There are several side characters you will see again in their own stories. I hope Ella and Declan get HEAs too. They are not listed as main hero or heroine for any of the future titles so far, but its always a possibility they may be a sub plot as the series continues. Larry and Jenna are up next. Larry came off pushy and rude at first but once his details get filled in, you find yourself rooting for him to get a HEA of his own. Rachelle Ayala is great at adding heart to any story. 😊 Even ones that lack the naughty bits. First time listening to Jennifer Groberg, and she did well. Her male and female characters could use some more distinction. Audiobook obtained through Audible Romance Package.